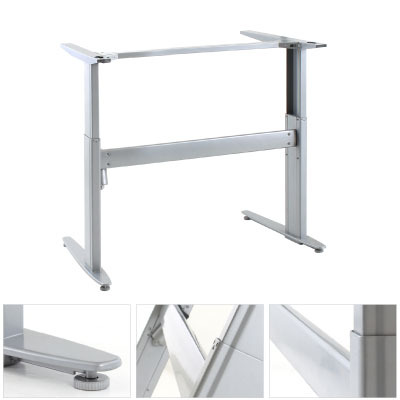 The Conset 501-25 8S144 electric height adjustable desk is a more than functional standing desk that meets all basic adjustable height needs. The Conset desk frame has a max load of 176 lb and with strong rigidity built into the construction it is also ideal for L shape tops up to 48 inches deep. The narrow width of 32-7/8" makes this table perfect for smaller work stations.